Attention Woodworkers & Scott AR Real Estate Buyers! All Personal Property Will Be Sold Regardless of Price! 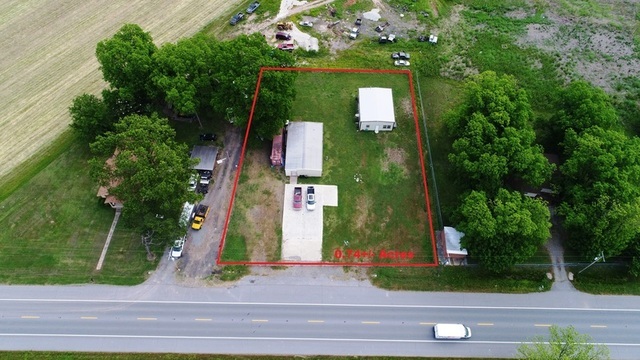 Consisting of: Real Estate: 0.74+/- Fenced Acres Featuring a 1500 Sq. Ft. 30’x50’ Shop Building and a 1200 Sq. Ft. 30’x40’ Heated, Cooled & Insulated Metal Building Built By B&S Enterprises in 2014.The 1200 Sq. 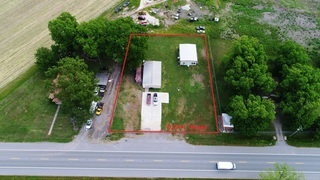 Ft. Metal Building Would Make a Great Home Or Office and Comes Equipped W/ a Heavy Duty 410A HAVC Unit and a Concrete & Steel Reinforced Safe Room. Plumbing, Electrical, HVAC & Septic installed in 2014, Drywall, Painting and Light Fixtures Recently Installed in 2017. Additional Features Include 166 Ft. of Commercial Frontage on US-165, a Large Concrete Slab W/ Plenty of Room For Parking, Solid Construction and Lots of Security. Utilities Include PK Electric, Municipal Water, Gas Hookup & In Ground Septic Tank. Lonoke County Parcel: 001-11127-000. This Property is “Move in Ready” and a Great Location for Any Small Business Owner! Call Auctioneers to Schedule a Private Tour or Attend Our Open House for a Better Look. Personal Property: Grizzly Oscillating Spindle Sander G1071, Grizzly 6” Joiner G1182, Grizzly Oscillating Edge Sander G9982, Grizzly 10” Table Saw G10235, DeWalt DW718 Double Bevel Compound Miter Saw, Coleman Powermate 6hp 80gal Air Compressor, Ex-Cell 5000W Generator, Porter Cable Sharpener Table 696, DeWalt Performance Portable Air Compressor, Grizzly Industrial Slow Speed Grinder. Multiple Bench Grinders, Sanders, Jig Saws, Skilsaws, Routers, Bits, Dremel Tools, Circular Saws, Pneumatic & Power Tools of All Kinds. Handmade & Antique Wood Furniture, an Entire Knife Collection, Landscaping Equipment and Much More! A 10% Buyer’s Premium Will Apply to All Purchases. ALL BUYERS MUST READ & AGREE TO THESE TERMS & CONDITIONS BEFORE PLACING BIDS. A 10% Buyer’s Premium Will Apply to All Purchases. LOAD OUT: Thursday & Friday, June 7th & 8th from 9am-4:00pm (Buyers with large/heavy items are advised to wait till second day of load out if possible) Please bring proper loading equipment and plenty of help. AUCTION COMPANY DOES NOT HAVE STAFF ON HAND TO LOAD. PAYMENT: ALL accounts will be settled at the conclusion of this auction. We will immediately charge the credit card you have on file with Wooley Auctioneers/Hibid for your purchases, plus buyer’s premiums and sales tax. *** A $25 service fee will be charged to any account whose credit card on file is declined requiring additional time and telephone contact to establish payment for merchandise. Please respond immediately by email if you KNOW that you need to use an alternative credit card. Participation Requirements: Name, address, daytime phone number, email address and a Valid Credit Card required for bidding approval. Retention of Credit Card Information: By providing your credit card information, you authorize Wooley Auctioneers, Inc. to charge your credit card for the purchase amount of any successful bid plus Buyer’s Premium. Buyer’s Contract: Your bids placed on the Wooley Auctioneers website are a contract and you are responsible for paying all amounts due. If you cannot pay for and pick up the items during the times specified, then you must not bid. Failure to Pick-Up Items: All items MUST BE REMOVED from the premises at the designated times. IF YOU FAIL TO PICK-UP ANY ITEMS on the days that have been scheduled YOU WILL BE CONSIDERED TO HAVE FORFEITED THE ITEMS AND TITLE WILL REVERT BACK TO THE SELLER. Please contact the auction company BEFORE THIS AUCTION CLOSES if you foresee a problem. SHIPPING: If shipping is desired, you must contact YOUR choice of the local shipping companies. Contact any shipper at your own risk. Buyer is obligated to pay all shipping expenses DIRECTLY to a shipper of their choice. Auction company recommends Vince Powell at UPS in the Heights Little Rock. His Phone number is 501-666-2338. CALL FOR SHIPPING QUOTE BEFORE BIDDING ON LARGE/HEAVY ITEMS. Wooley Auctioneers, Inc. (Auction Company) is providing an Internet auction as a service to Bidder. Bidder acknowledges and understands that this service may or may not function correctly the day of the auction. Under no circumstances shall bidder have any kind of claim against Auction Company or anyone else if the Internet service fails to work correctly during the online auction. Auction Company will not be responsible for any missed bids from any source. Internet bidders who desire to make certain their bid is acknowledged should use the proxy bidding feature and leave their maximum bid at least 24 hours before the auction closes. Auction Company reserves the right to withdraw or re-catalog items in this auction. 1. YOUR BID IS A CONTRACT TO BUY should you be the winning bidder. 2. All property is sold “AS IS”. 3. No Returns: All sales are final. There are no returns, refunds or adjustments. 4. Age Requirement: All bidders must be 18 years of age or older. 5. Our Internet on-line auctions move quickly! If you are interested in an item, bid quickly. If you win an item in the auction you will be notified by email. Any debt collection or dispute proceedings will be heard in Pulaski County, Arkansas. 6. ALL SALES ARE FINAL. Your bid IS A CONTRACT TO BUY should you win. 7. By bidding on any item, the bidder shows acceptance of the terms of the auction. 8. The auction company reserves the right to refuse service to any person. 9. All announcements made prior to the close of the Internet bidding take precedence over any and all written or verbal statements. 10. Wooley Auctioneers attempts to describe the merchandise to the best of our abilities however we make no representations or guarantees. In no event shall Wooley Auctioneers, Inc. be held responsible for having made or implied any warranty of merchantability or fitness for a particular purpose. Nor shall we be responsible for any errors or omissions in the description of the merchandise. EXPLANATION SOFT CLOSE: if an item receives a bid within the last minute, then the close time will be extended 1 minute from the time the bid is placed. The time will continue to be extended for 1 minute with each newly placed bid and the item will not close until 1 minute have elapsed with no additional bid activity. This does eliminate “snipers” from our Internet Auctions. Please be assured that we have taken every precaution to set the site up in a transparent manner that allows for the fairest environment for both buyers and sellers. Buyer’s Premium: A buyer’s premium of Ten percent (10%) of the high bid will be added to the bid to determine the final purchase price. Upon the sellers acceptance of the high bid, the successful purchaser will be required to make an earnest money down payment in the amount of 20% of the contract purchase price. The balance is due in approximately 30 days at closing. Purchaser will receive a General Warranty Deed at closing. Additionally, Seller will provide the purchaser an Owners Title Insurance Policy at closing. Buyer & Seller will each pay their respective portion of the closing cost & taxes will be prorated to the date of closing. Buyer’s Commitment: Your bids placed on the Wooley Auctioneers website/bidding platform are a FIRM COMMITMENT TO BUY and you are responsible for paying all amounts due. Payment Instructions: Winning bidder will be required to put 20% of the contract purchase price immediately following the auction in form of a cashier’s check made out to Central Arkansas Title & Insurance Company Located at 101 E. Front St. Lonoke 72086. The balance will be due in approximately 30 days at closing. Buyer & Seller will each pay their respective portion of the closing cost & taxes will be prorated to the date of closing. 1. YOUR BID IS A FIRM COMMITMENT TO BUY should you be the winning bidder. 3. By bidding on property, the bidder shows acceptance of the terms of the auction. 4. All announcements made prior to the close of the Internet bidding take precedence over all written or verbal statements. 5. Wooley Auctioneers attempts to describe the properties to the best of our abilities however we make no representations or guarantees. In no event shall Wooley Auctioneers, Inc. be held responsible for having made or implied any warranty of merchantability or fitness for a purpose. Nor shall we be responsible for any errors or omissions in the description of the properties. Wooley Auctioneers, Inc. is providing an Internet auction as a service to Bidder. Bidder acknowledges and understands that this service may or may not function correctly the day of the auction. Under no circumstances shall bidder have any kind of claim against Auction Company or anyone else if the Internet service fails to work correctly during the online auction. Auction Company will not be responsible for any missed bids from any source. Internet bidders who desire to make certain their bid is acknowledged should use the proxy bidding feature and leave their maximum bid at least 24 hours before the auction closes. Auction Company reserves the right to withdraw or re-catalog items in this auction. EXPLANATION SOFT CLOSE: if an item receives a bid within the last 5 minutes, then the close time will be extended 5 minutes from the time the bid is placed. The time will continue to be extended for 5 minutes with each newly placed bid and the item will not close until 5 minutes have elapsed with no additional bid activity. This does eliminate “snipers” from our Internet Auctions. Please be assured that we have taken every precaution to set the site up in a transparent manner that allows for the fairest environment for both buyers and sellers. Directions: From Little Rock head East on I-440 for approximately 10 miles. Turn right onto US-165 S/Baucum Pike/England Rd. Continue to follow US-165 S for approximatley 6.4 miles. The destination will be on your left. Watch for auction signs. Wooley Auctioneers are the top Real Estate Auctioneers in the state of Arkansas and surrounding areas. Specializing in Commercial Real Estate, Agricultural, Farm Land and Bankruptcy Properties, Recreational Real Estate; Golf courses – Hunting & Fishing Properties. Take the uncertainty out of your next real-estate investment and auction with Wooley Auctioneers.